Make This Mothers Day even sweeter. Enjoy a sweet wine known as Tokaj. These wines are from the wine region in Hungary known as Tokaji. This 2013 Royal Tokaji Red Label 5 Puttonyos is a great way to treat Mom to something almost as sweet as she is. 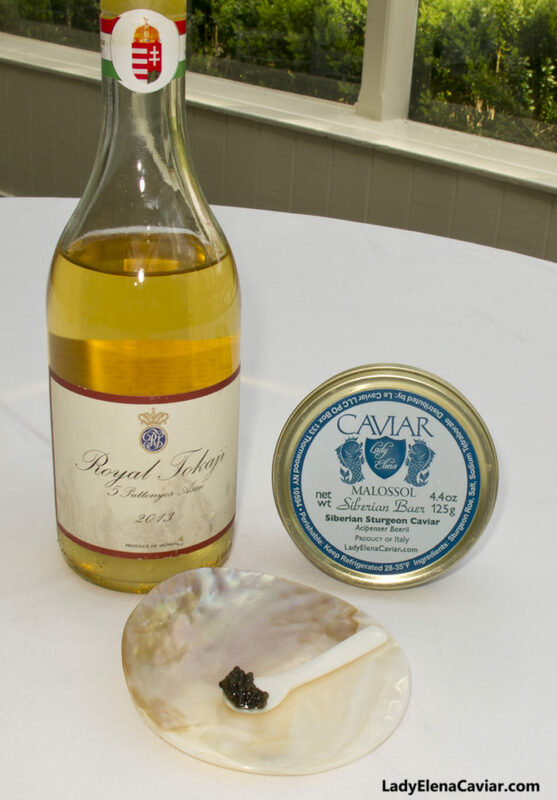 To make it even more special, it is a wonderful pairing of a salt and a sweet when enjoyed with caviar. We have paired it with our Siberian Sturgeon caviar that is sustainably farmed in Italy. Mom must enjoy this any day of the year.